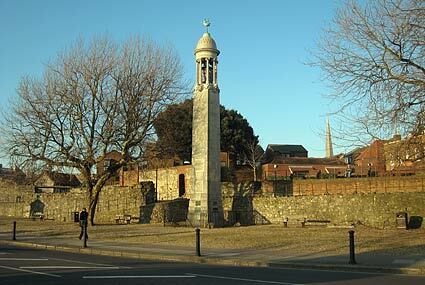 Southampton photos, A walk around the streets of Southampton including the Tudor Merchant's Hall and Tudor House, Hampshire, England. Technical problems meant that the ship had to put into Dartmouth and Plymouth before making its famous voyage across the Atlantic. 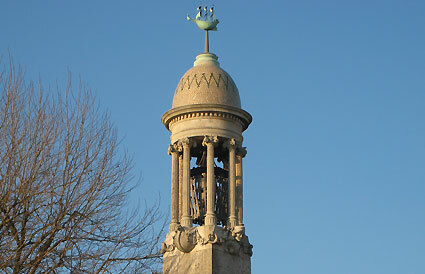 Built from Portland stone, the Pilgrim Fathers Monument rises 50 feet above the ground and is topped with a beacon surrounded by Greek pillars. At the very top is a copper model of the 'Mayflower' which serves as a weather vane. 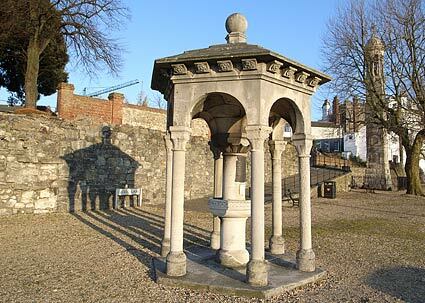 Nearby memorial and small fountain to Mary Anne Rogers, a stewardess who saved passengers on a sinking ship in 1899, but perished before she could escape. 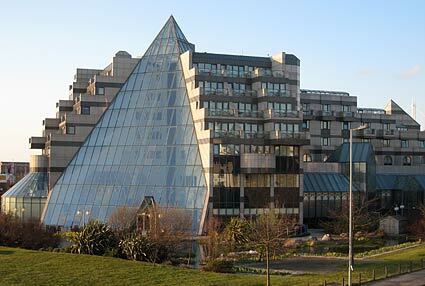 The Grand Harbour Hotel, Southampton. 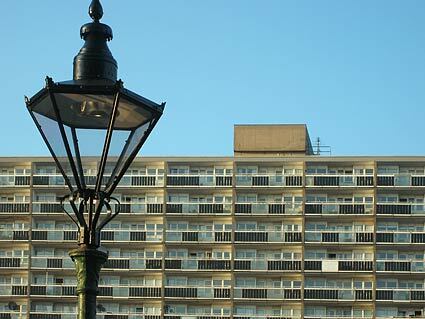 It's not really a looker is it? 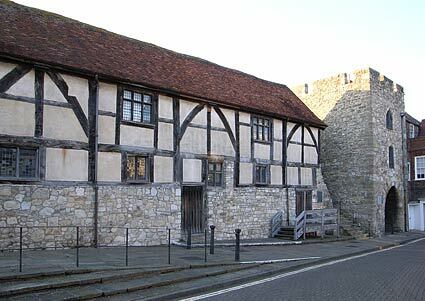 Tudor Merchant's Hall, a 15th century structure formerly located in St. Michael's Square where it was stuck between a fish market and a woolen market above. 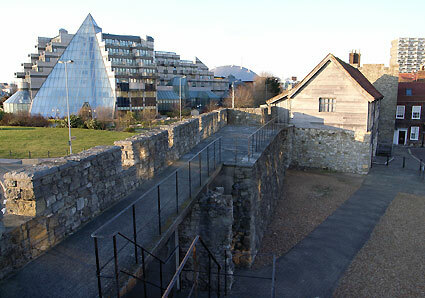 After churchgoers complained of the unpleasant whiff, the building was dismantled and put into storage before being rebuilt in its current location by West Gate. 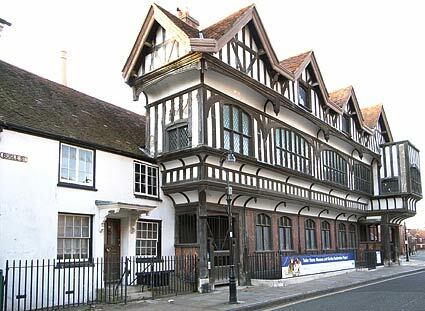 Dating back to around 1500, the timber-framed Tudor House was converted to a museum in 1911. There's still large sections of the walls that once protected Southampton still extant, and there's a well sign posted walking route to follow, if that's your thang. 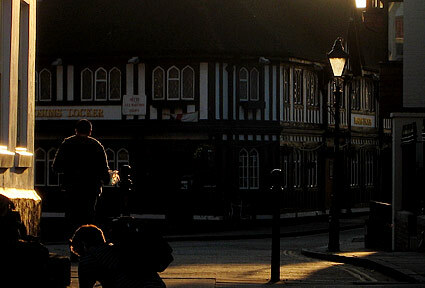 Late afternoon scene with the Bosun's Locker boozer visible in the distance (in Castle Square). 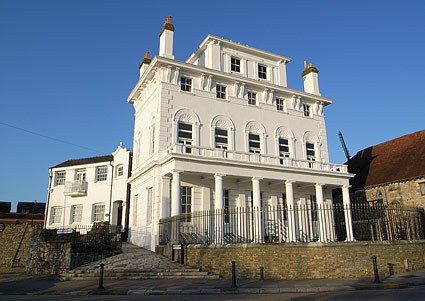 Despite its Ye Olde appearance, the pub dates from the early 20th century and was built on the site of a house where Jane Austen lived with her mother, brother and his wife for three years between 1806 and 1809. 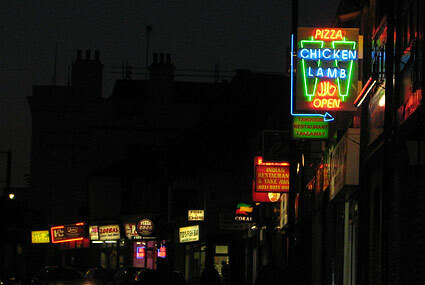 Fast food signs in Bedford Place. We were on our way to see Southampton FC play the mighty Cardiff City FC - see: match report. 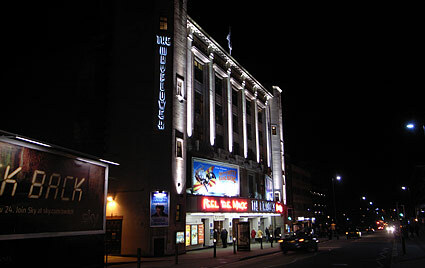 The old Southampton Gaumont, now known as the Mayflower.